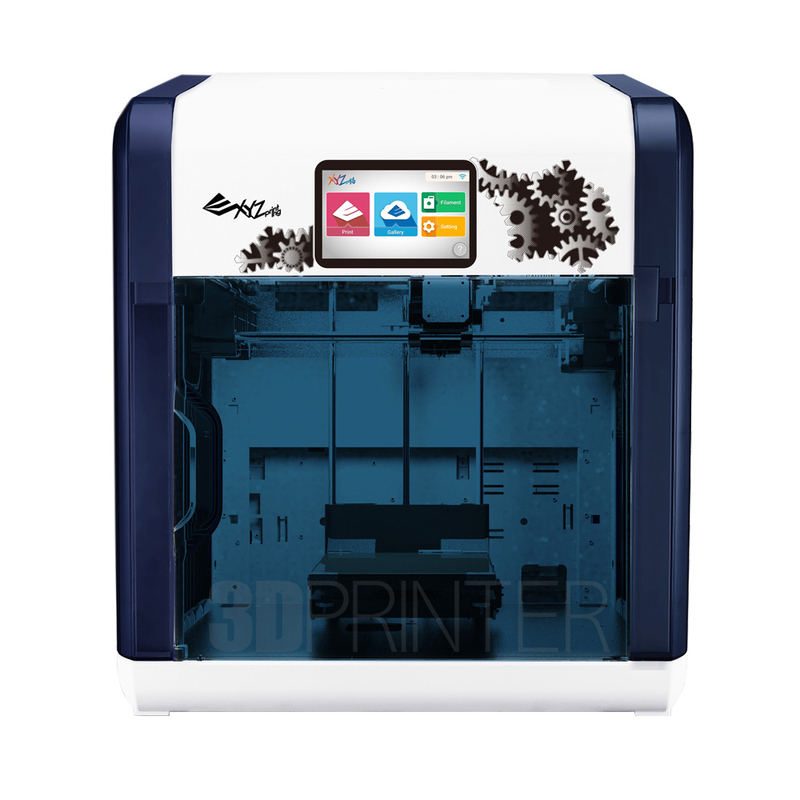 The XYZ da Vinci 1.1 Plus is a 3D printer that uses FDM technology to create objects using ABS and PLA filaments. It offers a number of connectivity options and has features that make it a worthwhile addition to a school or commercial site. The advantages of the heated print plate are enhanced by the enclosed unit, which prevents the heat from escaping. The XYZ da Vinci 1.1 Plus is a substantial, easy-to-use machine, however, the size of the objects that it can accommodate is limited. The XYZ da Vinci 1.1 Plus has dimensions of 46.8 x 51 x 55.8 cm and weighs 24 kg. The device has a configuration that makes the loading of filaments a very simple and easy process. The clean lines of the enclosed unit gives it an appealing appearance, hiding the full extent of the printer’s ability within an elegant shape. Features such as the touch controls and colour LCD screen help to simplify the process of operating the printer. When using the XYZ da Vinci 1.1 Plus, it is possible to send print tasks wirelessly using a smart device with the use of an app. This remote access also allows the in-built camera to be operated so that the progress of the print task can be viewed when away from the printer. Although it is Wi-Fi capable, it can also be physically connected to a device via the USB port. The software will upgrade automatically when there is an updated version available. Despite its size, the XYZ da Vinci 1.1 Plus is limited to printing objects up to a size of 20 x 20 x 20 cm, which some users might find restrictive, depending on their printing needs.